PEAK Parent Center is a 501(c)3 nonprofit that implements various federal, state, local, independent, and philanthropic projects. Learn how to get involved with PEAK's work! The purpose of the Region 5 Parent Technical Assistance Project (Region 5 PTAC) is to provide technical assistance to Parent Centers, comprised of Parent Training and Information Centers (PTIs) and Community Parent Resource Centers (CPRCs), in a 10 state region (Arizona, Colorado, Kansas, Montana, Nebraska, New Mexico, North Dakota, South Dakota, Utah, and Wyoming). 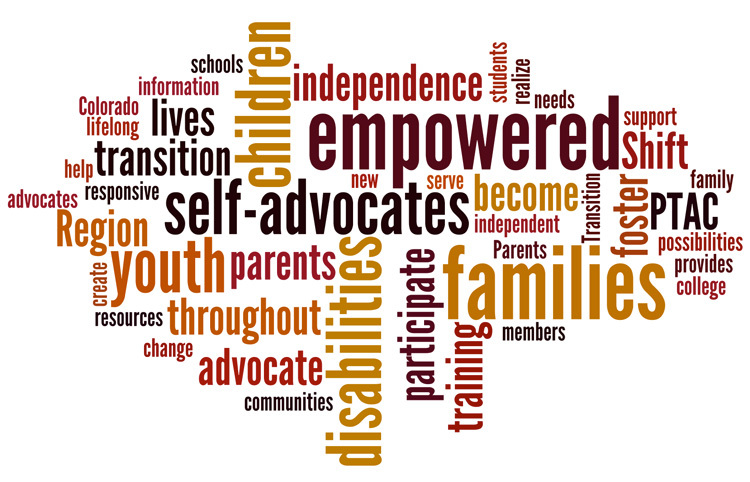 The Region 5 PTAC believes that Parent Centers help foster independence in families so they are empowered to participate and advocate for their children throughout their lives.